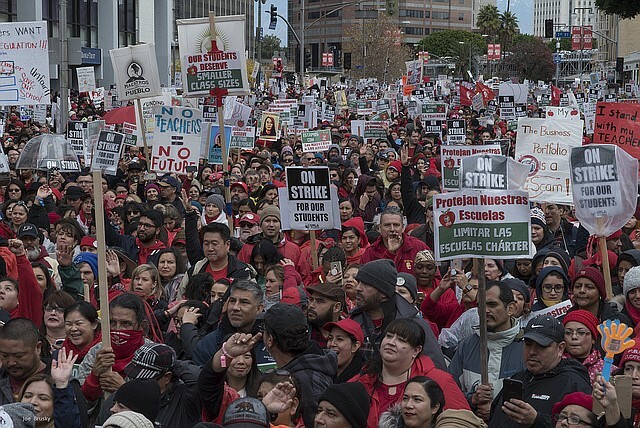 What does the Los Angeles teachers’ strike have to do with Minneapolis? Well, actually, quite a bit. Some part of the strike was about wages. They got a little bit of the raise they asked for four years ago. They got smaller class sizes and school nurses. But the issue that made the most noise was the privatization of public education and the mad proliferation of charter schools. Doris Fisher is worth $2.7 billion. She was a co-founder of The Gap. She gave $4.1 million to candidates in the last LA School Board campaign, which supported charter schools, and now they control the board and they hired a business-friendly friend of charter schools. She runs KIPP, the largest conglomeration of charter schools in the country. There are 15 in LA. KIPP is run like a private school military academy. It turns out well-behaved workers. They’re taught respect for authority, discipline and obedience. Students are called scholars. It’s college prep, and many of them go on to college. There’s one in Brooklyn Center. KIPP Minnesota was one of the recipients from R T Rybak’s Minneapolis Foundation. R T gave $1.3 million in grants to charter schools last year. The charter school coalition defeated a critic, Rebecca Gagnon, in the last Minneapolis School Board election. Former Mayor R T is politically well connected. He led the transition team to make sure Jacob Frey was comfortable in his new office. When he’s not busy privatizing the school system, he’s busy privatizing the park system. His Loppet Foundation has received hundreds of thousands of tax dollars to subsidize its cross-country ski programs. It runs Theodore Wirth and Hiawatha Golf Courses in the winter, and the Park Board guarantees its budgets in exchange for 18% of the net profits (as if there would ever be a net profit from a cross-country ski concession). In a bad year the Park Board supports 6% of the golf budget. In a year with snow, the Park Board supported 87% of the Loppet budget. Loppet has a nice chalet at Theodore Wirth, courtesy of the taxpayers. It’s corporate taking rather than corporate giving. KIPP Schools (and most private charter schools) are money-making machines disguised as a noble gesture. Besides the grants from the Minneapolis Foundation and other charitable foundations, they get between $640 and $905 per student from the state, and the state and the fed offer tons of grants for start-ups and continuing operations. The Minnesota Department of Education has $3,350,000 available to fund approximately five start-up grant awards, and the FY2019 grants are expected to range from $175,000 to $225,000 each. It’s an interesting contradiction. While they’re teaching their students self-reliance, they are sloshing in public welfare from the city, county, state and federal governments. They claim they are run on a strict business model, and they’re right, if you assume Fred Trump was the model businessman. He made his first fortune building homes for HUD, the federal housing subsidy program. The rich have always treated the public treasury as their personal candy jar, and they resent public entitlement programs like social security and medicare as infringements on their privilege. But we should study what the charter schools have done, and we should measure their effectiveness. And there is merit in their criticism that the public school system has a swollen bureaucracy that takes teachers from the classroom and increases the student to teacher ratio. 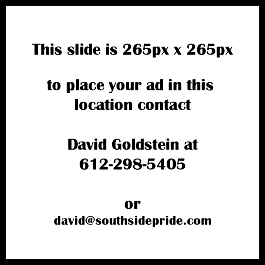 Perhaps the new Minneapolis School Board will be encouraged to cut some of the bureaucratic fat in the administration. They could start with the area superintendents—an unnecessary level of bureaucracy between the superintendent and the principals. Would Minnesota teachers strike because non-union teachers were taking their jobs? Or because a swollen bureaucracy was taking teachers out of the classroom and adding more students to the ratio? Or because essential services like medical care and counseling are being neglected? Maybe they think the new governor, a former teacher, will change the state’s priorities. Or are Minnesota teachers just too Minnesota Nice to strike?